Ensure the tricycle is correctly assembled. Check that the handlebars, wheels, pedals and saddle are secure. Check all nuts are bolts are tight and none have become loose in transit. Check that your tyres are inflated correctly. Use a pressure gauge to check tyre pressures. Check that the handlebar stem bolts are tight by holding the front wheel between your feet and attempting to turn the handlebars. Check tyre pressure: Overinflated tyres are as much to blame for pinch flats as under inflated ones. A floor standing pump allows you to pump large volumes of air with ease, making them quicker, easier and more efficient than a hand pump. Some bike shops will let you borrow theirs. Look on the side of your tyre for a number. Check brake pads: Worn brake pads reduce breaking efficiency. If you feel your tricycle is no longer braking with ease, please get a qualified bike mechanic to repair or replace as this is a vital part of road safety. Clean your chain: Regularly cleaning your trike’s drive train, including the chain, means it will perform better and last longer. You don’t need to remove the chain; all you need is hot water, a toothbrush, rags, brushes and sponges, a degreaser and chain lube. For a quicker job, you can use a handheld chain cleaner. Just wash and degrease, rinse, dry and then lubricate. Silence squeaky brakes: Screeching brakes are often dirty brakes, or at least dirty wheel rims. Clean and dry both properly, and 50% of the time you’ve solved the problem. If that doesn’t work, they might need adjusting. Lubricate: Buy some bike-specific lubricant and use it sparingly on any parts of your bike where metal touches metal, such as the chain, brake and dérailleur levers, cables and bearing systems. Don’t oil your chain unless you’ve cleaned it properly first, as this will create an abrasive paste that will grind away at the chain. Use a lube appropriate to the weather conditions you ride in. True wheels: Turn your bike upside down and spin your wheels. Do they wobble a little from side to side? If so, they need “truing”, which involves adjusting the length of some of the spokes using a spoke key. Anyone can true a wheel but there’s a knack to it. If it’s your first time, best not to do it on your swanky racer! A bike shop will do this for a small fee. True wheels are stronger, roll better and don’t rub brake pads unevenly. Sitting comfortably: If you are prone to sore bum syndrome, experiment a little with your saddle, raising or tilting it slightly to suit your riding style. If you get sore knees while cycling, you might have your saddle too low. When you pedal, your legs should be almost straight on the downwards revolution. 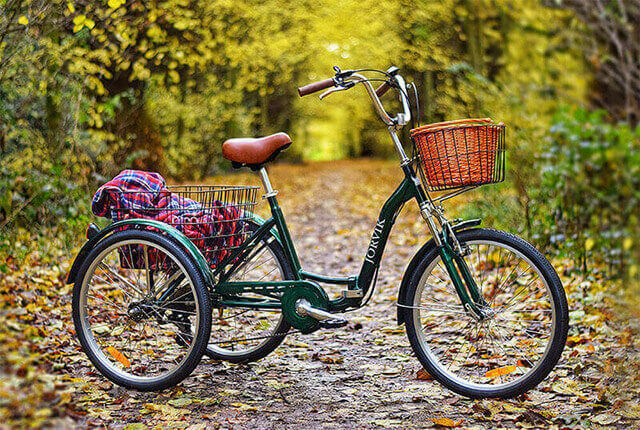 Storing your ride: Storing your bike somewhere dry, away from rain, dampness, dust and direct sunlight will improve your trike’s upkeep and reduce the amount of maintenance required. 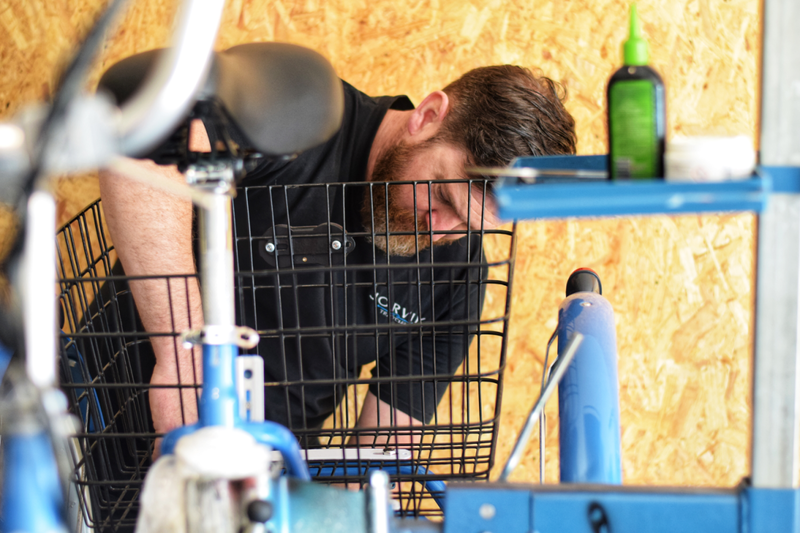 Service your bike: Servicing your bike once a year is usually adequate, ideally at the start of spring if you’ve been brave enough to cycle though winter. However, there is no shame in getting an expert to take a look– think of it as your tricycle MOT.